my mother is sophisticated, she is very world-travelled, and she is of a past era. she now lives in a small apartment that feels much larger than it is, full of calm and harmony. When my mother moved to a retirement community, there could have been plenty of room for family discomfort in the process. Stacy hit all the right notes all the way through. My mother’s influences—her wonderful china, a giant silver tray—have a good home. Her apartment seems cosmopolitan and comfortable, with a nice eating area and a place for hosting guests. It doesn’t feel at all like a little museum. 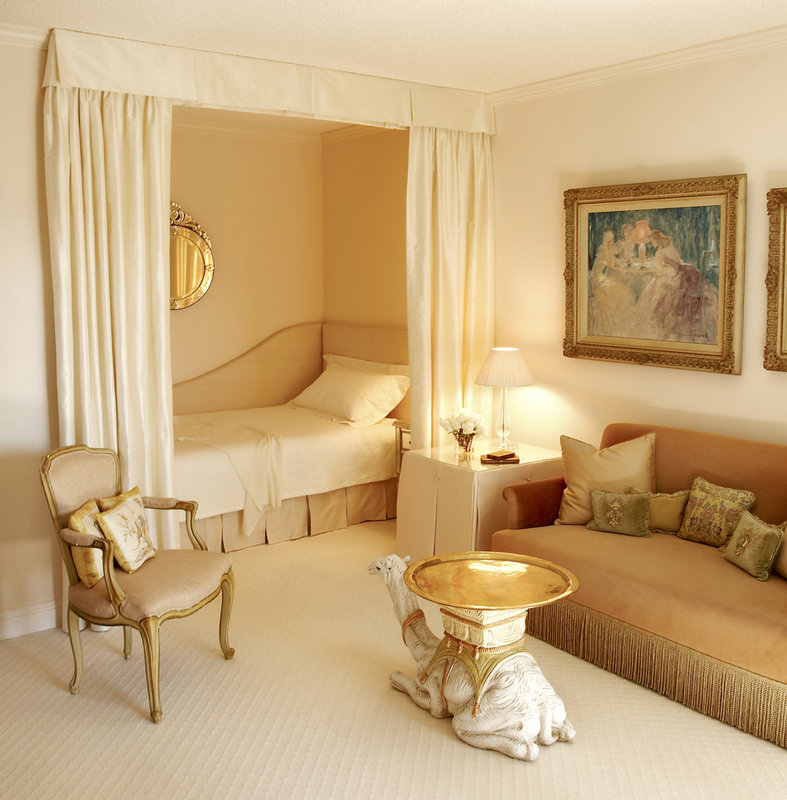 The bedroom alcove has a delightful sense of fantasy, a sort of contemporary Bedouin tent with curtaining. Stone Interiors respected my mother’s personality and delivered a complete space where nothing shouts. My mother was thrilled with the result and raved about Stacy.